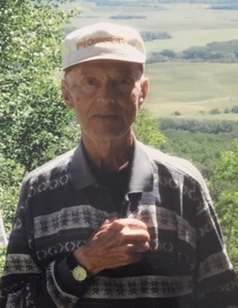 Steve Sembaluk of Swan River, Manitoba passed away with family by his side and holding his hand on November 29th, 2018 at the age of 92 years. Steve was born in Vegreville, Alberta on February 19th, 1926 to Nick and Annie Sembaluk. He received his education at Poplar Point, Saskatchewan. Steve married Alma Shearer of Togo, Saskatchewan on August 9th, 1951. Together they farmed in the Kamsack area up until 1966, where they purchased a farm and moved to the Egilson District, which is along the Ditch Road in the RM of Swan Valley West. Steve and Alma retired from farming in July of 1994 and purchased a home on 9th Ave South, they moved into Swan River with their son Greg. 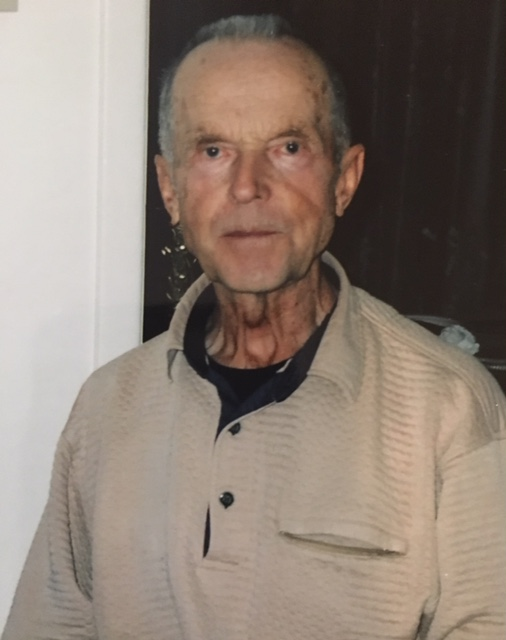 Interest of Steve was farming, playing crokinole with children and grandchildren, riding his bike up town and fixing things around the house and yard. Steve is survived by his wife Alma; daughter Shelley Defoe (Wayne); sons Greg Sembaluk, Clayton Sembaluk and Mark Sembaluk (Lesley); sister Pauline Picton; sister-in-law Anne Sembaluk; eight grandchildren Kurt Chartrand, Kris Chartrand, Patrick Sembaluk, Haley Sembaluk, Matthew Sembaluk, Nick Watson (Jamie Kematch), Erica Sembaluk-Hart and Tara Chartrand (Kris); 2 great-grandchildren Roksana Chartrand and Olivia Watson; numerous nieces and nephews and other who are also considered to be grandchildren, great-grandchildren and great-great-grandchildren. Steve was predeceased by his son Reginald Sembaluk in 2012; daughter-in-law Marguerite Sembaluk; brothers John, Sergie (Marguerite), Bill (Mabel) and Mike (Olivia); his sisters Mary (Vic), Verna and Sandra (Bob) and brother-in-law Allan. Active pallbearers were his grandchildren Kurt Chartrand, Kris Chartrand, Haley Sembaluk, Matthew Sembaluk, Patrick Sembaluk and Nick Watson. Honorary pallbearers were Erica Sembaluk-Hart and Tara Chartrand. I'm following the path God laid for me. To laugh, to love, to work or play. I found that place at the close of day. Ah yes, these things, I too, will miss. Good friends, good times, a loved one's touch. Don't lengthen it now with undue grief.